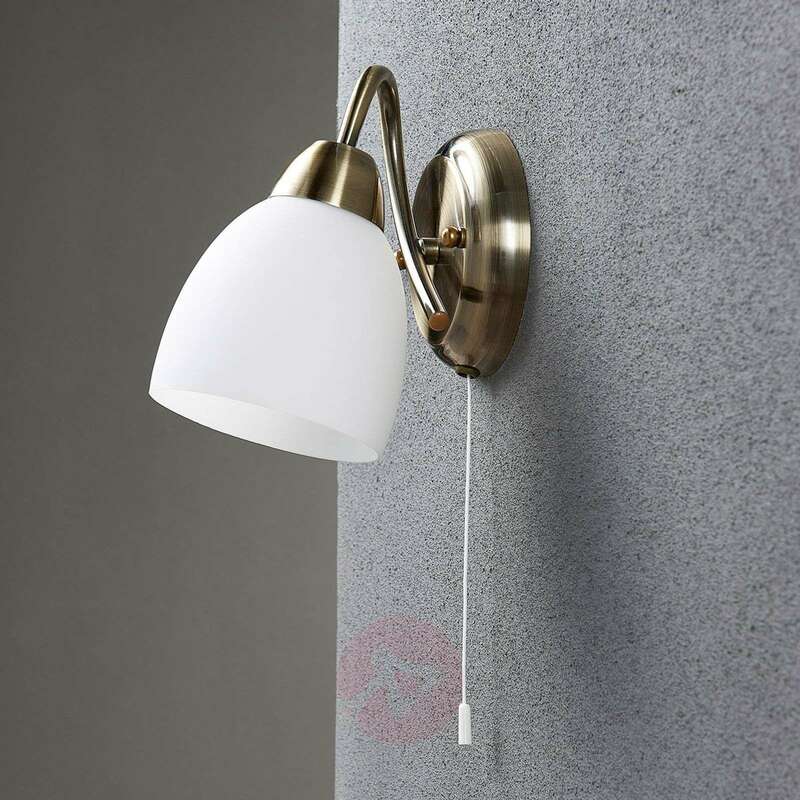 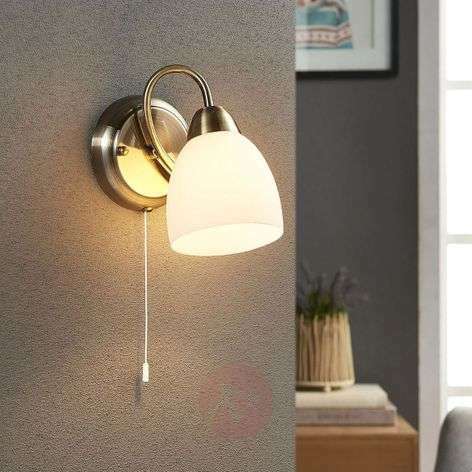 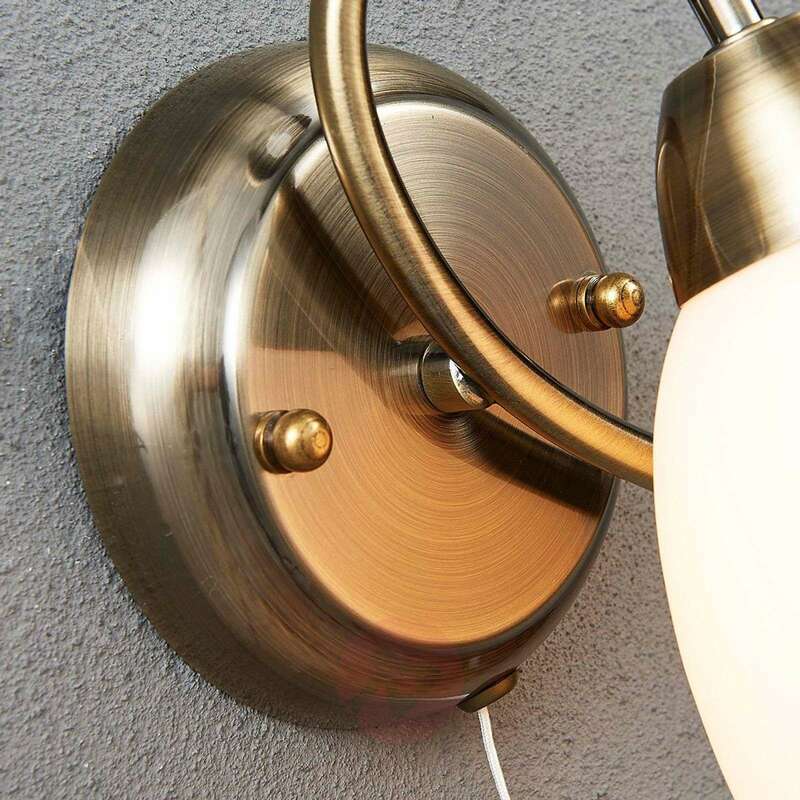 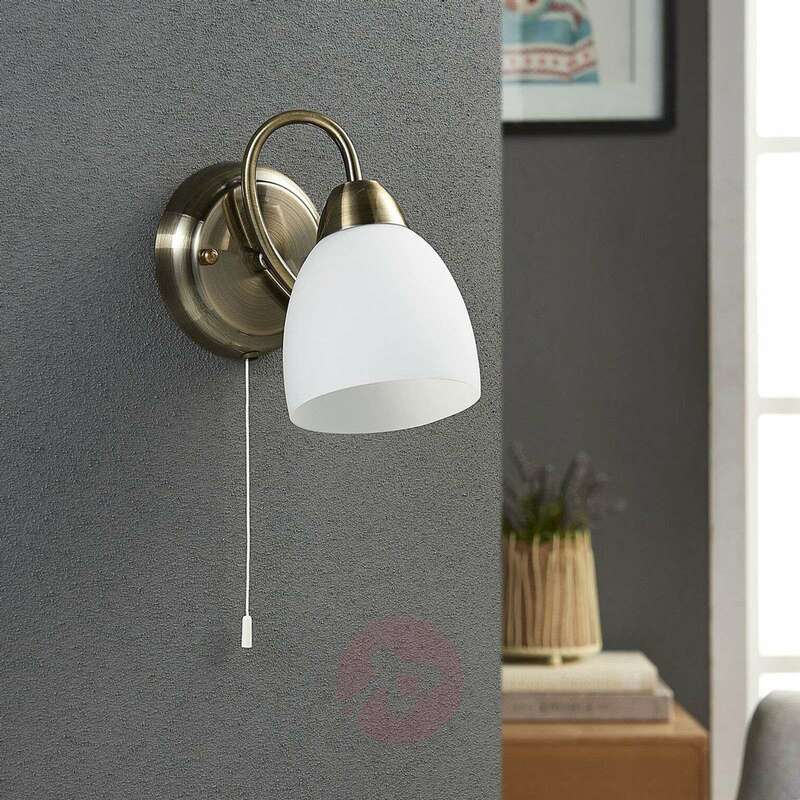 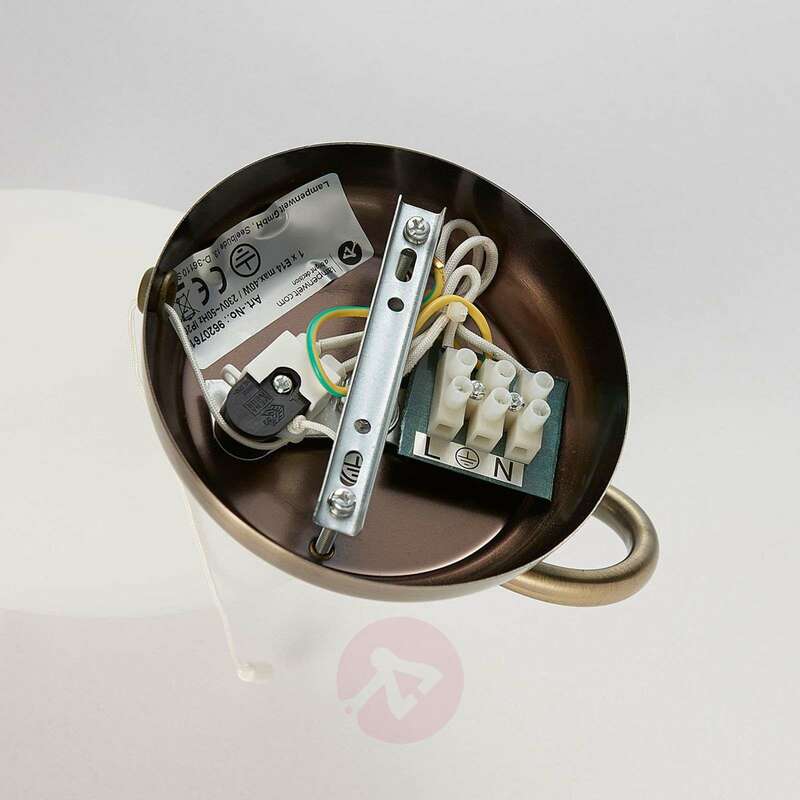 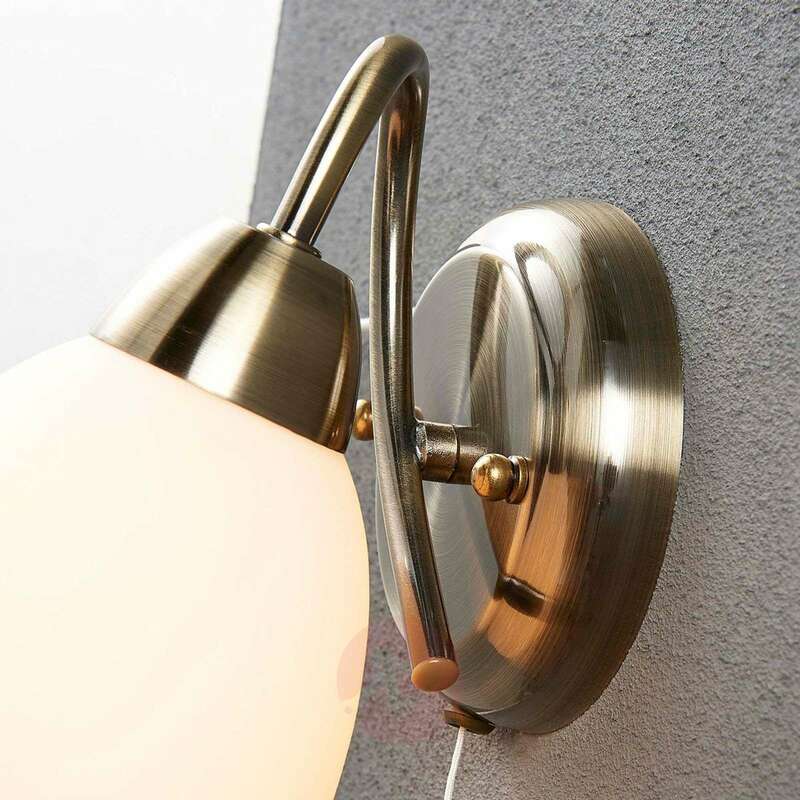 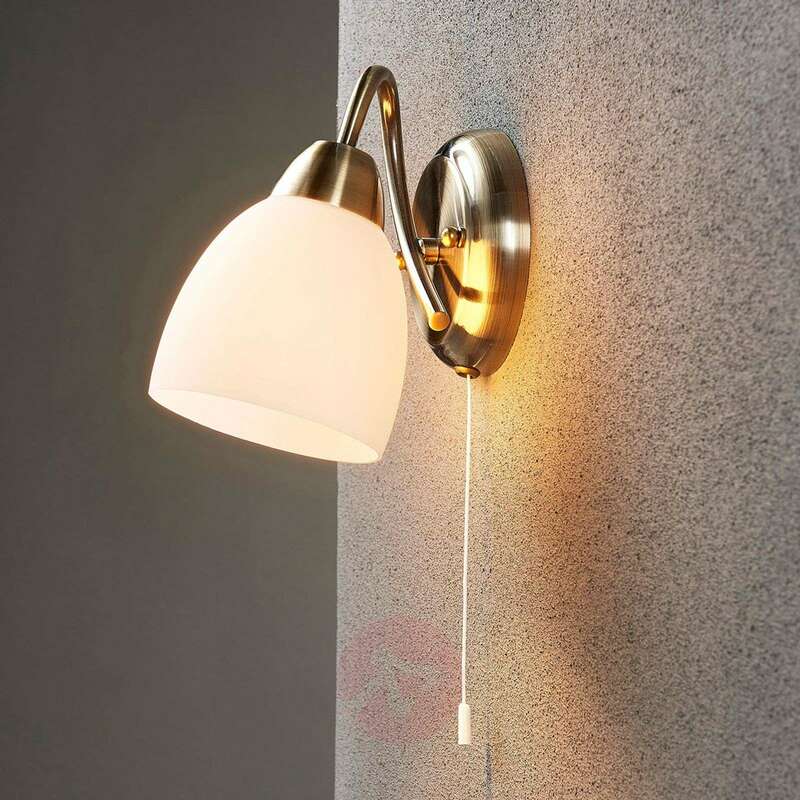 The metal frame of the wall light Mael is painted in an antique brass colour, creating a classic look which fits well into corresponding interior design styles. 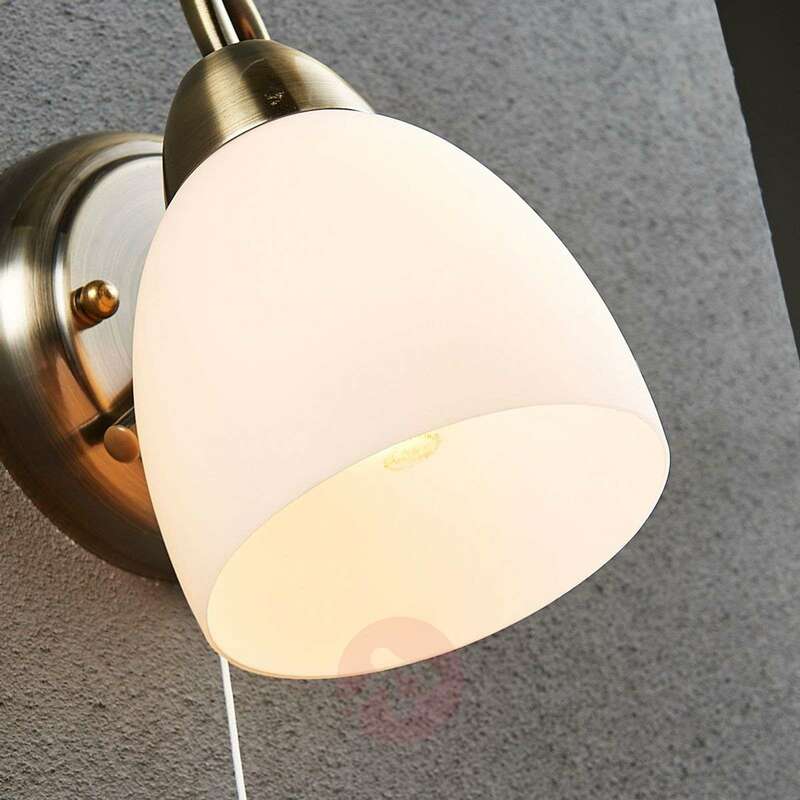 The lampshade is made from opal white glass with an attractive shape and is able to create a cosy light when the light source is turned on. 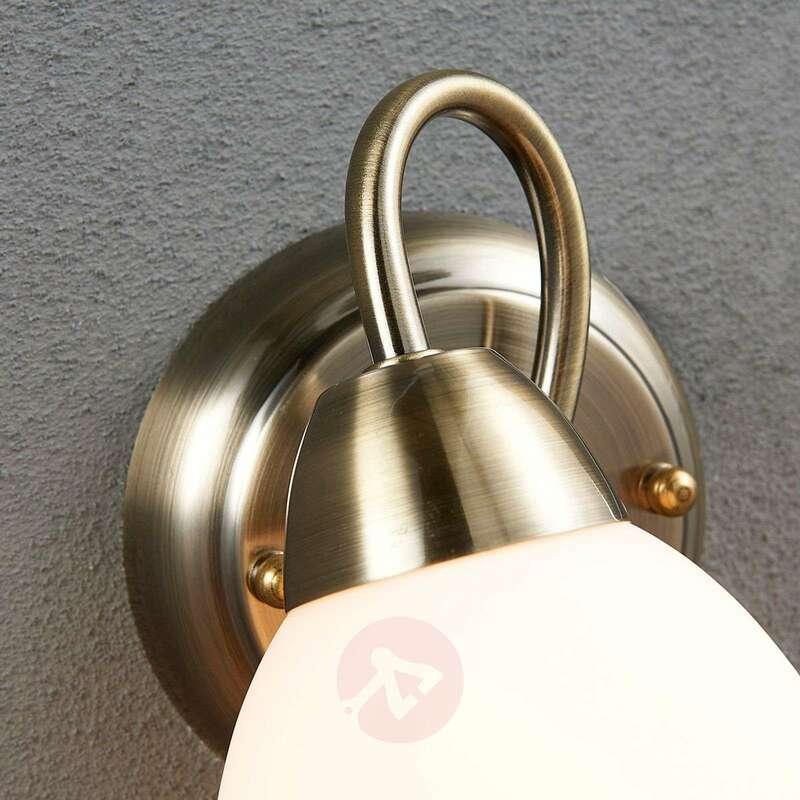 There is a practical pull switch located right on the frame.